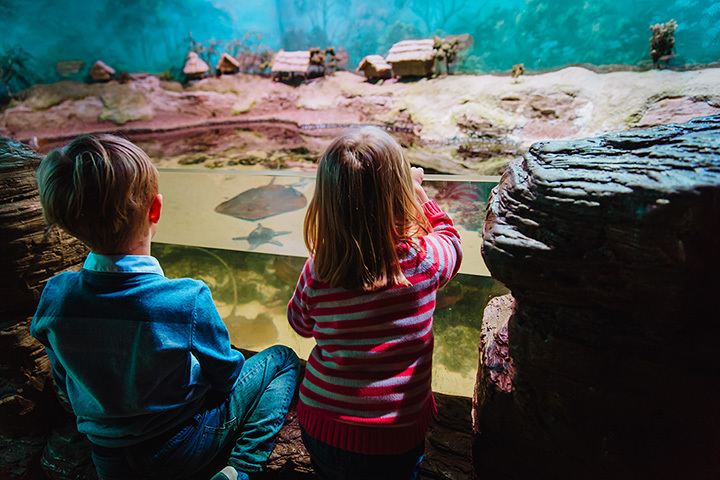 Located on the Mississippi River adjacent to the French Quarter Audubon Aquarium of the Americas immerses you in an underwater world. The colors of a Caribbean reef come alive in our walk-through tunnel, while our penguins and Southern sea otters enchant you with their antics. Touch a sting ray, feed a parakeet, and marvel at our gigantic sharks, tarpon, and rays in the 400,000 gallon Gulf of Mexico Exhibit. Watch for sea turtles throughout the Aquarium-as coordinator of the Louisiana Marine Mammal and Sea Turtle Rescue Program, we prepare many of them for release to the wild.